over the full range of the instrument, especially in the lower end, low C through B and Bb. When the XO Jupiter 2069GL Artistic arrived by courier I was unsure about what to expect from the new top of the line Jupiter Pro series Alto. I was pleasantly surprised when I opened the cardboard box and found an excellent quality case under the banner of the “XO Series Tourlite”. It features soft interior mouldings, shoulder and back pack-style double strap, as well as a sheet music outer zip pouch. on the metal – especially on the key-pad cups. As well as this solid build, the horn also features quality pads with resonators and blue steel springs. Selmer Reference 54 Flamingo, which etails at almost double the price of the Jupiter. which had no flex. 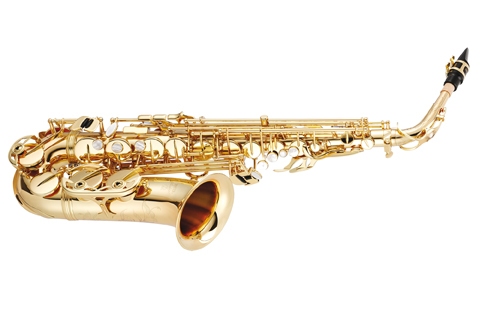 However, the quality of workmanship and materials on each of the saxes is impressive and the Jupiter doesn’t pale in comparison. My friend sounded great on both the saxophones. He was impressed by the action of the Jupiter and also with the full range of the horn response. talking half the bucks here for the Jupiter. to fall it the note doesn’t pop. I feel pretty confident this XO Jupiter wouldn’t let me down. series altos, it should give both of them a run for their money. whenever you see a gig listed!